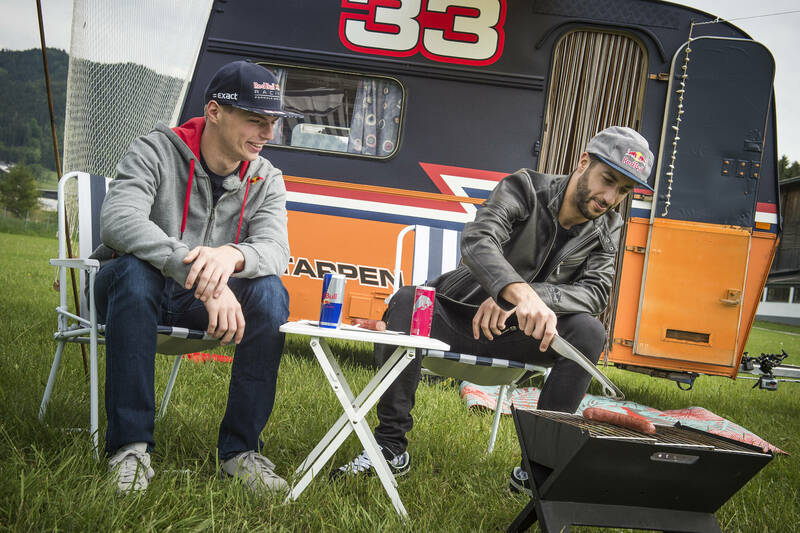 Red Bull Racing duo in fun Spielberg caravan race ahead of Austrian GP. 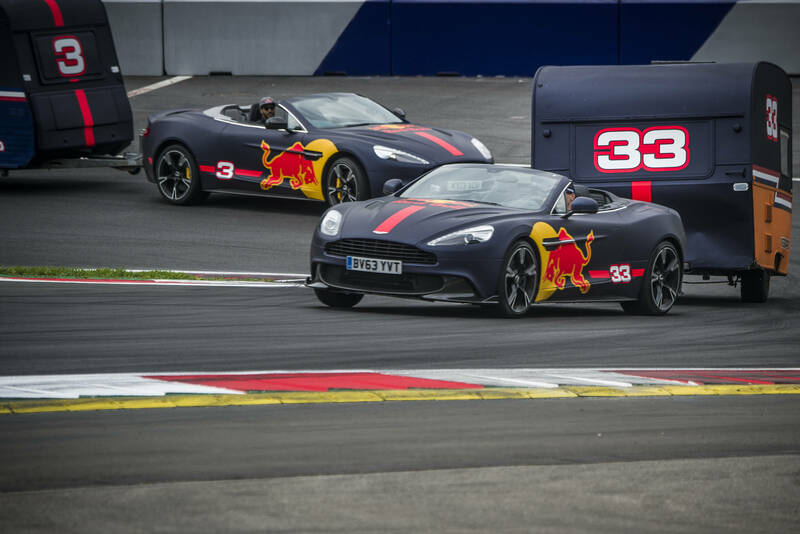 Daniel Ricciardo and Max Verstappen regularly battle each other on the track in Formula 1 cars, but never towing caravans behind Aston Martin Vanquish convertibles until now! 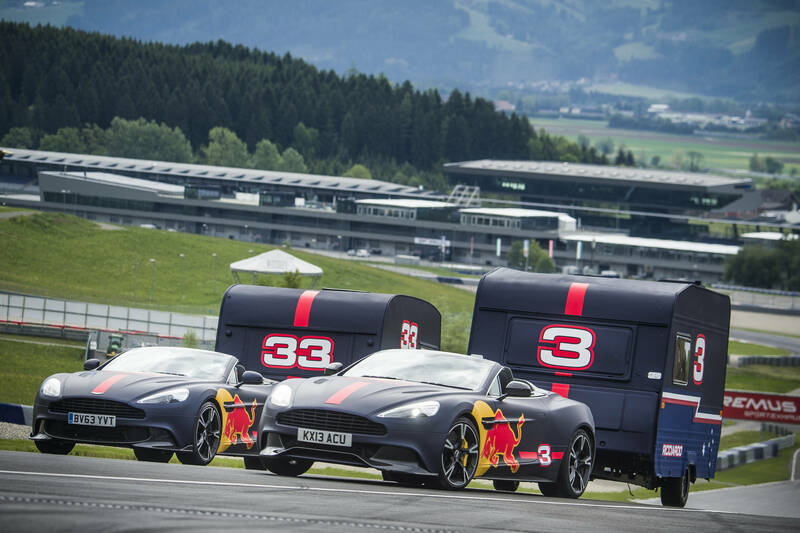 The Red Bull Racing duo suited up at the Red Bull Ring in Spielberg to help showcase the upcoming Austrian Grand Prix from July 7-9. 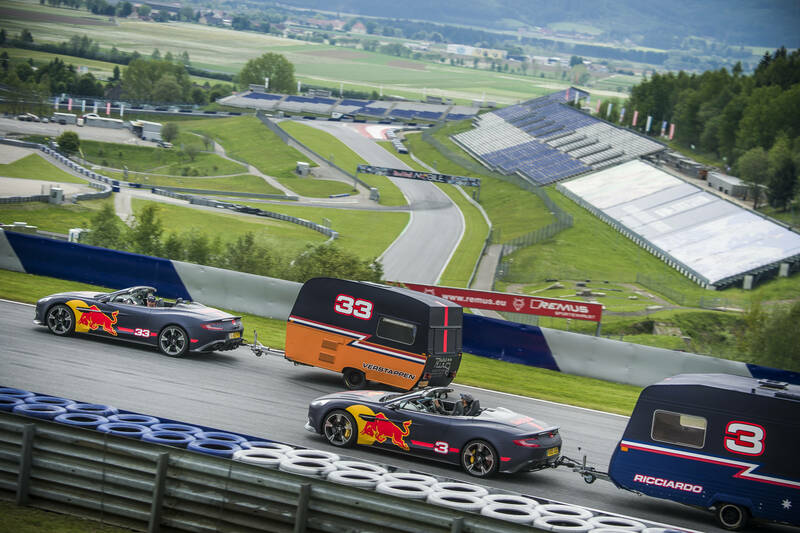 Instead of treating the locals to a few laps in their 2017 F1 cars, they were given the chance to test out the souped up convertibles with the added ballast of the caravans behind. 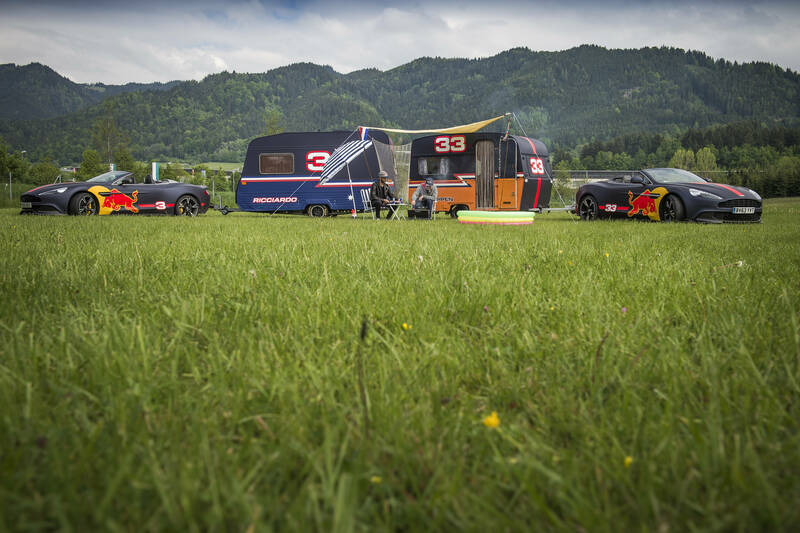 Not any old caravans either, stripped out ones with Pirelli slick tyres painted in Red Bull Racing livery and their very own race numbers to mark them out. Australian Daniel got to pilot a a Vanquish Volante car, which can boast 576hp and 0 to 100kp/h acceleration of 3.8 seconds. The 27-year-old revealed, “I wasn’t sure if it would be very controlled and just for the ‘glamour shots’ or if we could really have some fun. Fortunately, we got to have some fun. Meanwhile Max was allowed a spin at the wheel of the more powerful and very loud Vanquish S Volante with an impressive top speed of 323 km/h. This entry was posted in Adventure, Culture, Global News, Motorsports, Video by admin. Bookmark the permalink.